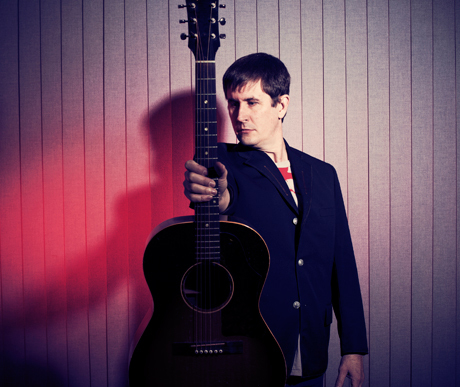 John Darnielle's Mountain Goats project last left us with the collaborative effort All Eternals Deck, which featured Superchunk's Jon Wurster on drums, and Peter Hughes on bass, but the band leader will make his way out on the road all by his lonesome for some solo dates later this spring. Merge Records has announced that following some Australian tour dates in May, Darnielle will travel along the West Coast to play some intimate solo gigs. Up first on the docket is a Canadian gig at Vancouver's Rio Theatre on June 22. From there he'll head down towards the Golden State, capping the trip July 3 in Claremont, CA. While Darnielle will be playing Mountain Goats cuts by himself, he'll have a travel buddy in Thrill Jockey guitar experimenter Dustin Wong. You can catch the details down below.